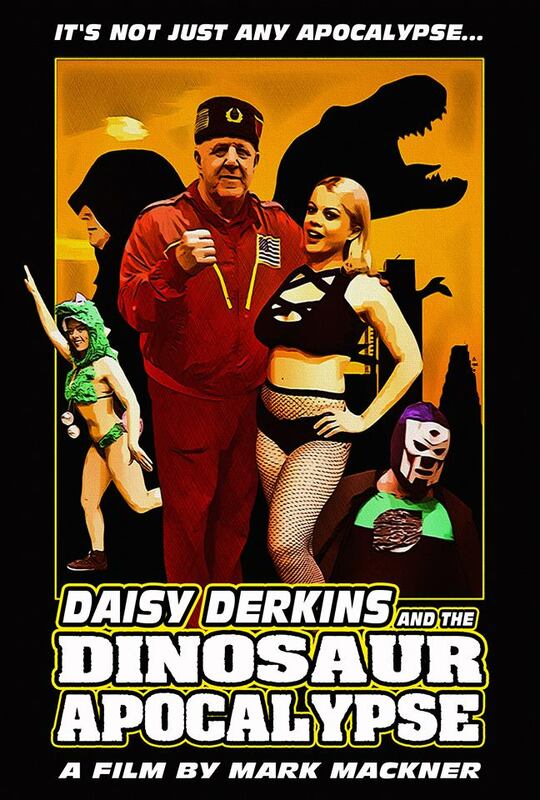 Written and directed by Mark Mackner (Daisy Derkins 1 and 2, Half Life Horror From Hell) and Bob Kaplan (Dollface: Road to the Apocalypse), Daisy Derkins and the Dinosaur Apocalypse stars WWE Wrestling Legend and Hall of Famer Nikolai Volkoff in his final film role. Daisy and Nikolai team up to fight dinosaurs in the Dinosaur Apocalypse. They also have to battle Silas and his evil crew, a demented henchman, The Mummy Cop, and so much more. There is even Women Wrestling action. The movie, now in post-production, is expected to be released in early 2020. Daisy Derkins and the Dinosaur Apocalypse stars Nadia White (Don't F*ck in the Woods, Return to Nukem High) as Daisy Derkins, Nikolai Volkoff (WrestleMassacre) as himself, Hellter Skelter aka Rocky Ciarrocchi (Half Life Horror From Hell, Evil Brew, Daisy Derkins 1) as Hellter Skelter and The Henchman, Mark Mackner as Silas Killington, Doug Layne (Half Life Horror From Hell) as Sonny Graves, and Echo Endless as Raven Madd. An Evil Sorcerer teams up with a mad scientist to unleash Dinosaur Hell on Earth, and only Daisy Derkins and a hero from the future can stop them!